A credit card gives you more purchasing options along with the flexibility of making payments that fit into your monthly budget. Aside from allowing you to buy items that may be out of your available cash price range, a credit card helps you pay unexpected bills and tackle other unforeseen expenses. You make at least the minimum payment each month and maintain a good credit rating, and you're all set. In a perfect world, this would apply to everybody. However, there are circumstances where you may have less-than-perfect credit or simply have little or no credit history. This does not automatically prohibit you from obtaining a credit card. Before you start the process of applying for a credit card, it’s important to determine if a credit card is right for your needs. A credit card is best for smaller purchases that can be fully paid over several months. If you are looking to make a large purchase, a personal loan may be a better option for you. Consult with your bank about the various options for a personal loan including a secured loan. Before signing up for a credit card, confirm the terms of agreement. This includes the interest rate, your maximum credit limit and any related fees such as over-the-limit charges. Make sure you can afford the minimum payment. Bad credit tends to follow you around for many years and can make it difficult to obtain credit in the future. Some lenders look at more than just your credit history when making a decision. If there are issues on our credit report that are not your fault, it’s important to mention this either on the application or when contacting the lender. A divorce, for example, may make your credit look bad even if you weren't responsible for the credit issues with your accounts during your marriage. If a lender is willing to look at merit, present proof that you have a steady source of income and are capable of paying the minimum payment each month. It usually takes about 2-3 weeks to receive a decision about your application for most cards. If you are not approved, you have the right to ask for the reasons why you were not approved and request a free copy of your credit report. Another reason you may be turned down for a credit card is lack of a credit history. If this is the case, there are a few ways to get around this issue. The easiest way is to have your name attached to another card holder's account. This allows you to demonstrate responsibility and build a credit history. You want to make sure the other person on the card has a good credit history, at least with that particular card. A joint account holder's bad credit with that particular card carries over to your credit report. Another option is to obtain a debit card through your bank. This allows you to build a credit history in a controlled setting. Keep in mind that with a debit card you are limited to the funds you actually have available in your account. Note: Surprisingly, you may have difficulty getting approved for a credit card if you pay off your balance on other cards every month or only have a card that requires you to pay the balance off every month. Consider getting something like a gas card that carries a small balance over to the next month. Your first step should be obtaining a copy of your credit report. Legally, a company that turns you down for credit must give you a reason. 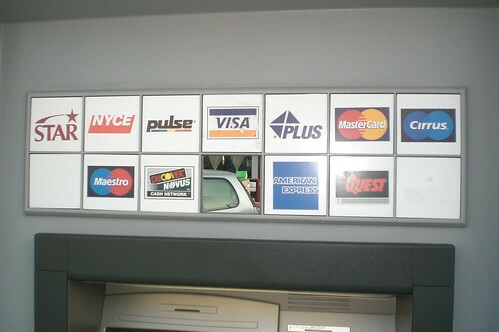 Credit reporting agencies are also required to respond to any disputes you may have with a billing issue within a specific amount of time. If they do not, any negative marks on your credit report must be removed. If there are issues with your credit report, contact these agencies first. You may want to review the Fair Credit Reporting Act or contact a credit repair company. Your second step is to compare your credit card options. Make sure you are aware of any fees and potential penalties. Credit can be a valuable asset, as long as you are aware of your options, rights and responsibilities as a card holder. Andrew Bennett is a finance consultant who suggests obtaining a credit card to rebuild credit history once it has been damaged.